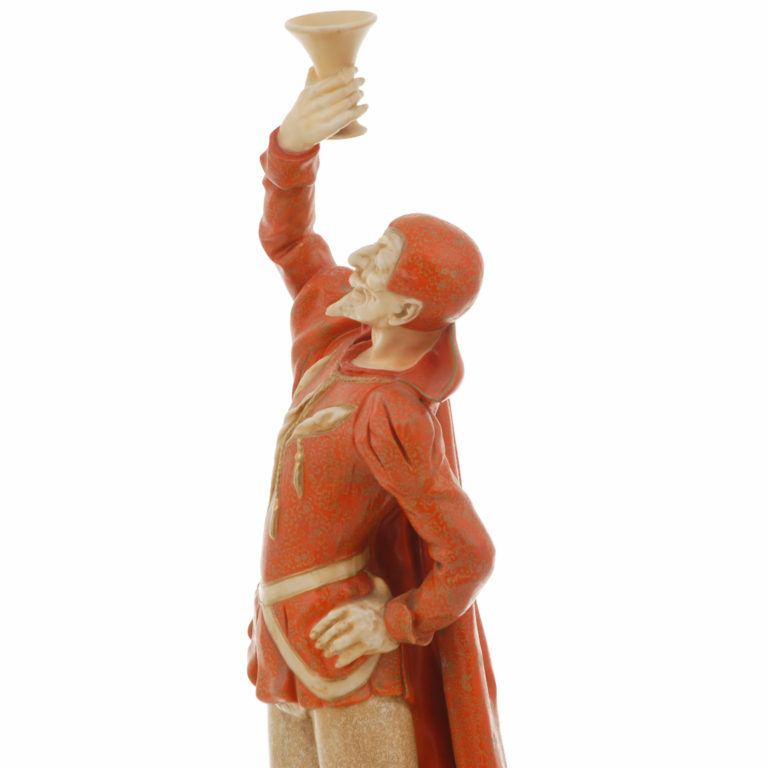 One of the very first Doulton figures depicts Mephistopheles, a demon who corrupts men and collects the souls of the damned for Lucifer. 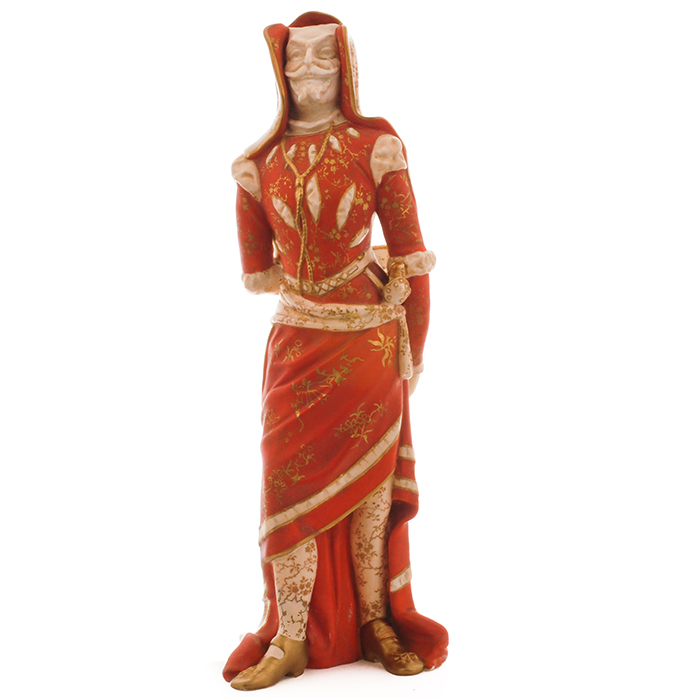 Only one figure from 1897 is known in a vivid scarlet costume and it comes up for sale at Whitley’s Auctioneers on January 19. 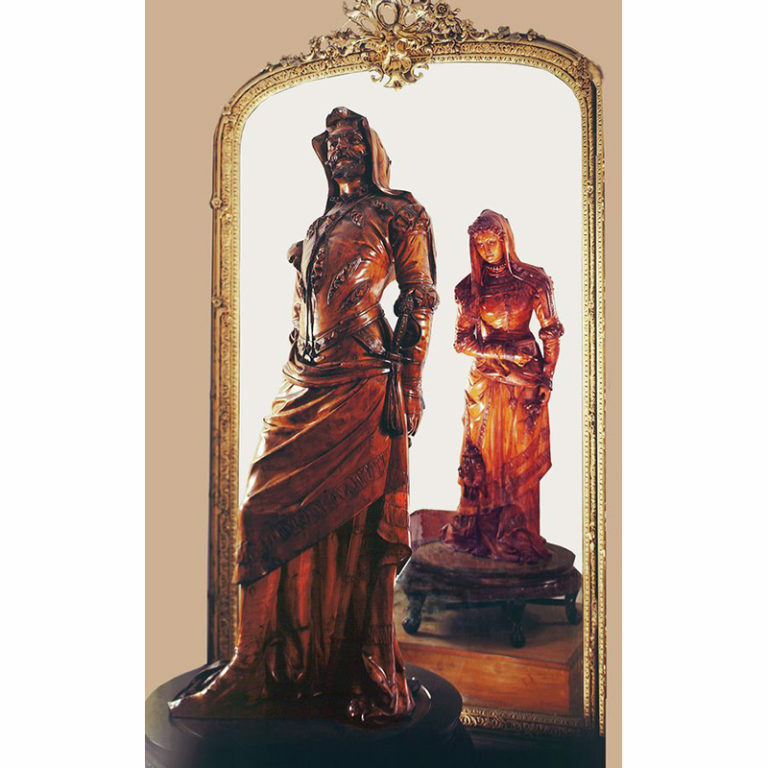 Another earlier version in an ivory Vellum finish presides over the Fantastique exhibit at WMODA. 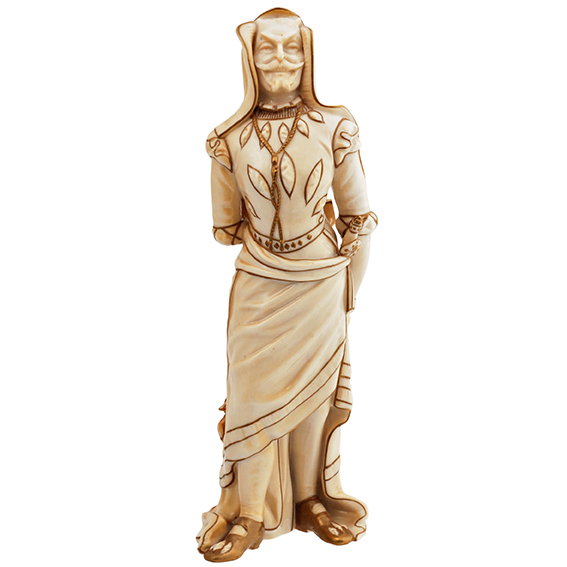 This prince of demons first appeared in the Doulton collection in 1891 as an unusual double-sided figure with the modest Marguerite, who is seduced in the legendary tale of Dr. Faustus. 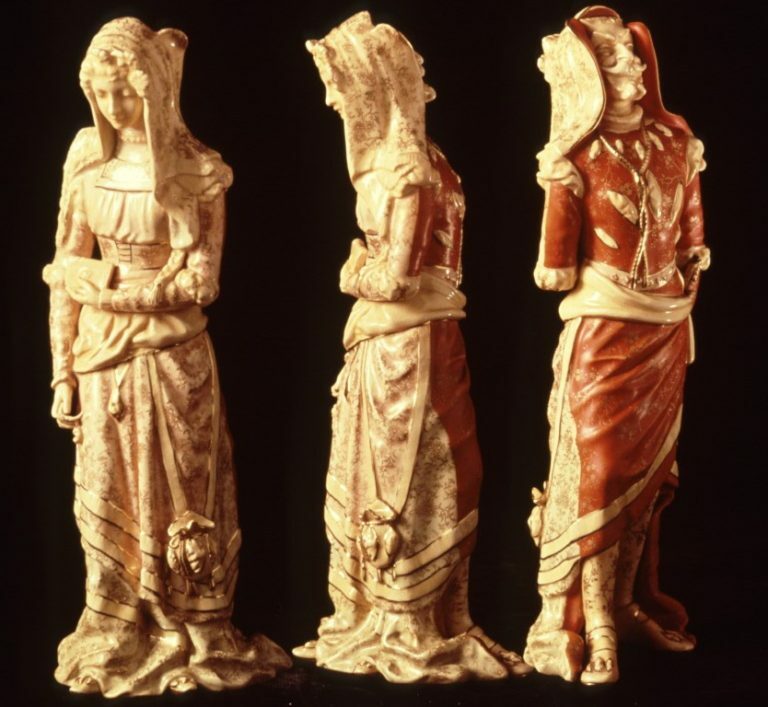 The Doulton figure closely resembles a monumental wooden statue from France at the Salar Jung Museum in India but it is not known which came first. 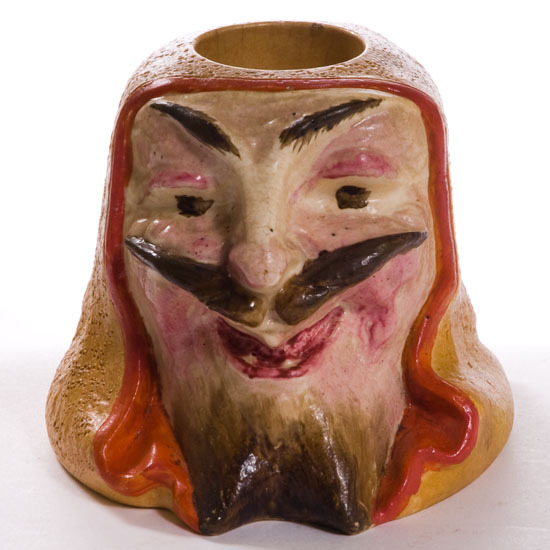 Scholars believe that Faust was a German alchemist and necromancer during the 16th century, who reputedly acquired his magical knowledge with the help of the devil. 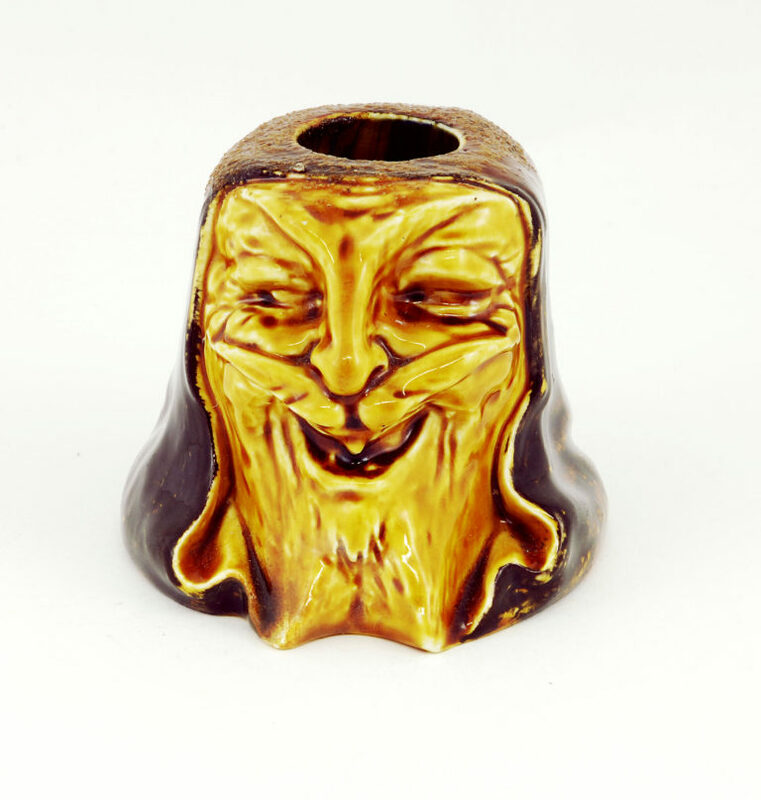 His name derives from mephitic meaning noxious or offensive smell and comes from an ancient Samnite goddess who reigned over the underworld with its foul exhalations. 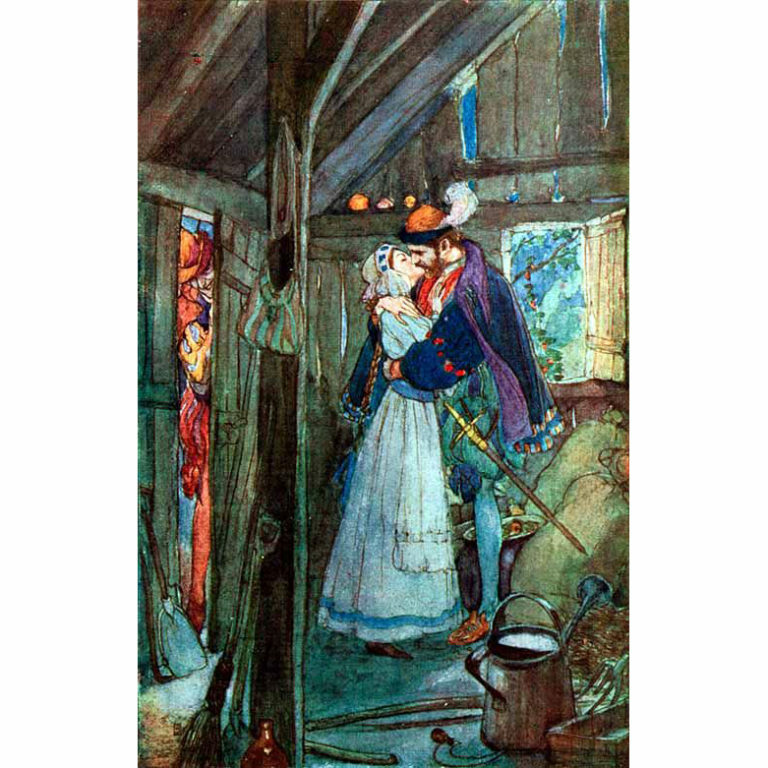 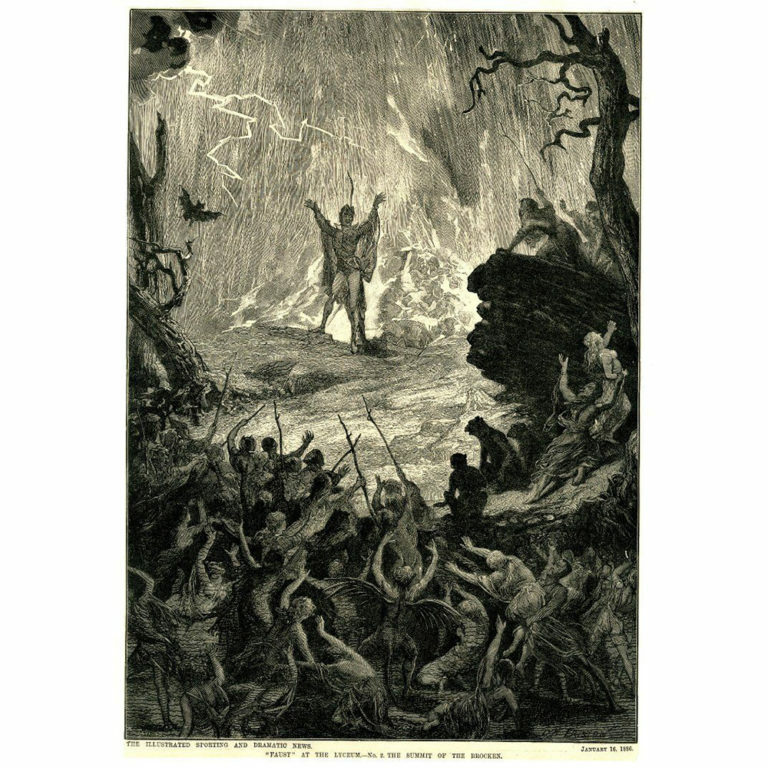 The literary legend, which explores the age-old conflict between good and evil, became even more popular in the 19th century thanks to Gounod’s opera and Goethe’s dramatic poem, which was adapted for the stage. 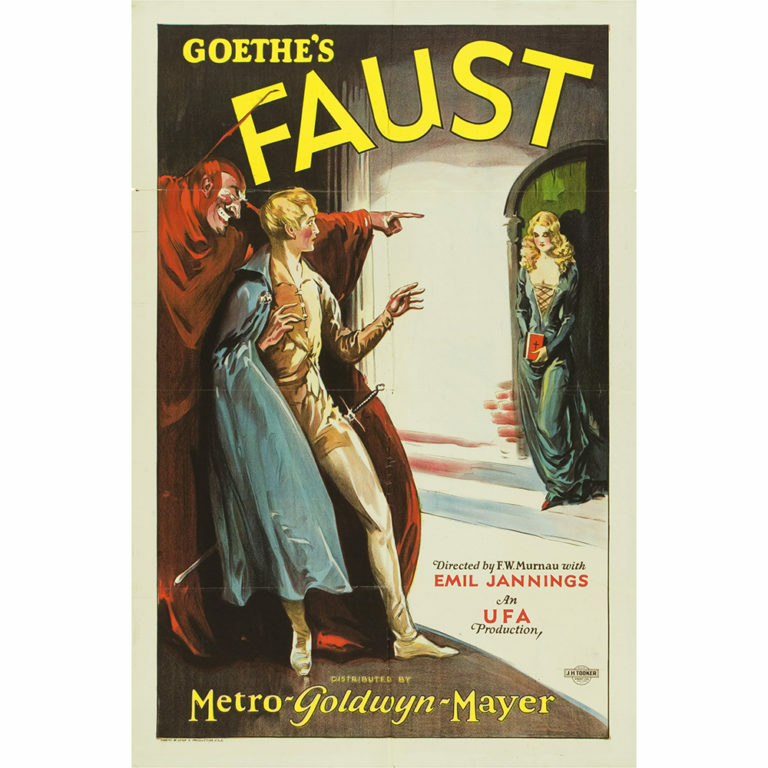 In these romantic interpretations, Faust sells his soul to Mephistopheles, the personification of the devil, in order to gain worldly knowledge and sensual pleasure. 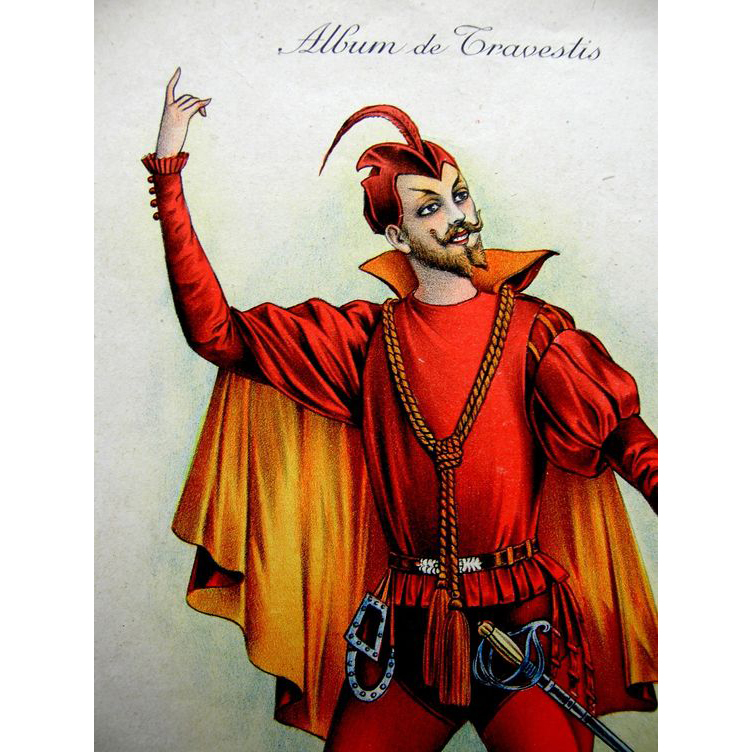 On the stage, Mephistopheles is charming, yet infernal and is equally ready for philosophical debate or drunken debauchery. 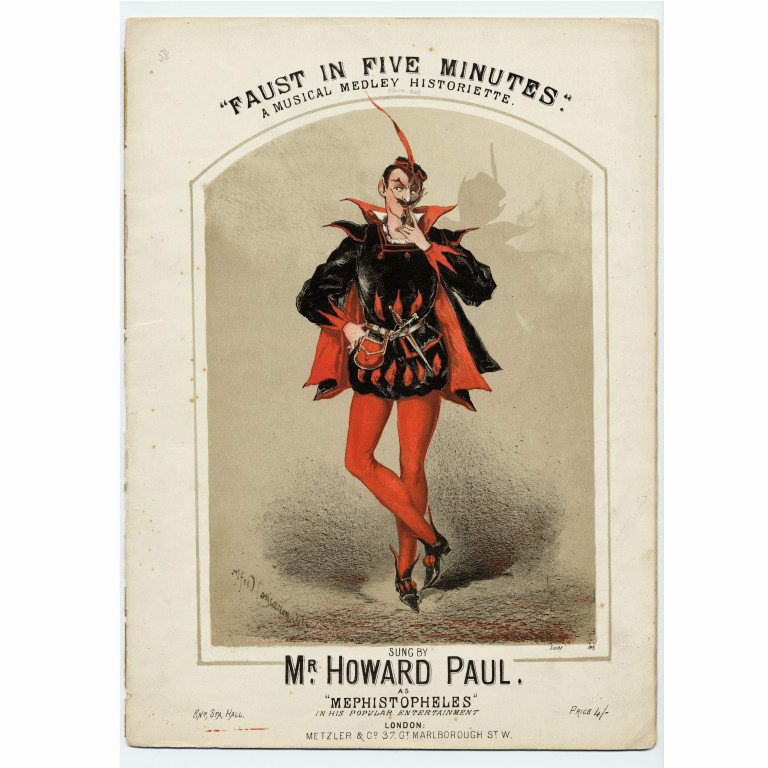 Faust became a sensation on the London stage in 1885 with Henry Irving and Ellen Terry, the celebrated Victorian acting duo, in the leading roles. 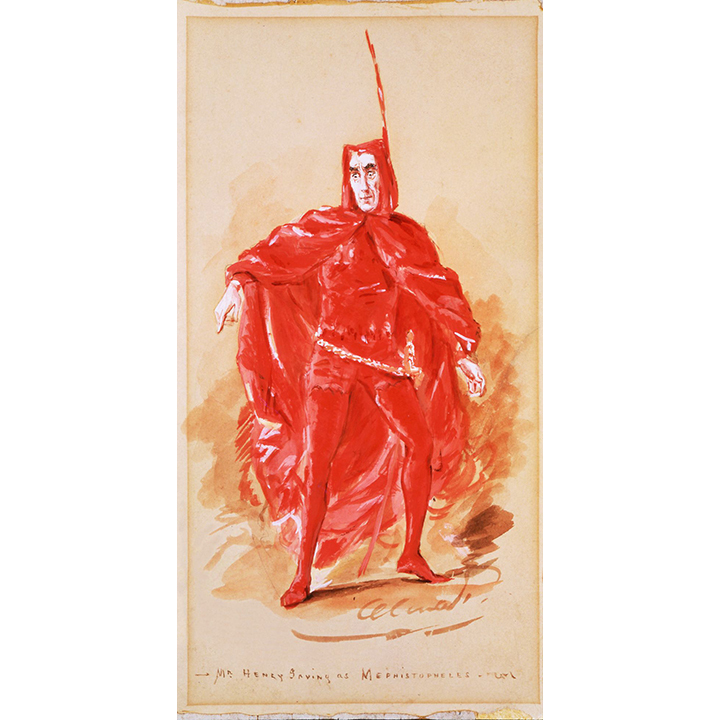 Irving as Mephistopheles became the devil incarnate for Victorians with his goatee, moustache and all-red Renaissance style costume, complete with tights, a cape and a cap with horn-like feathers. 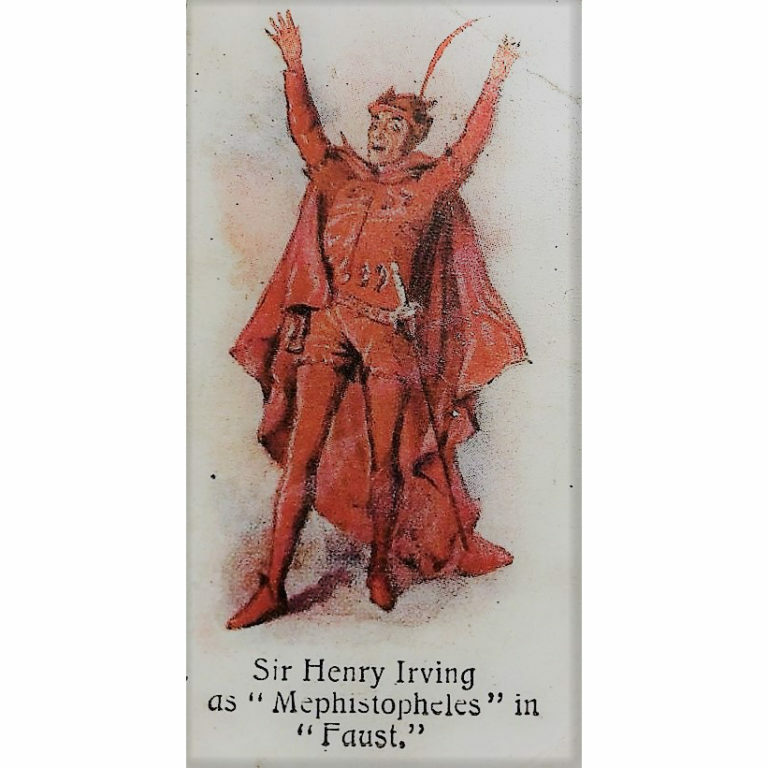 In all, Irving portrayed Mephistopheles 792 times between 1885 and 1905 including a successful US tour of the Lyceum Faust. 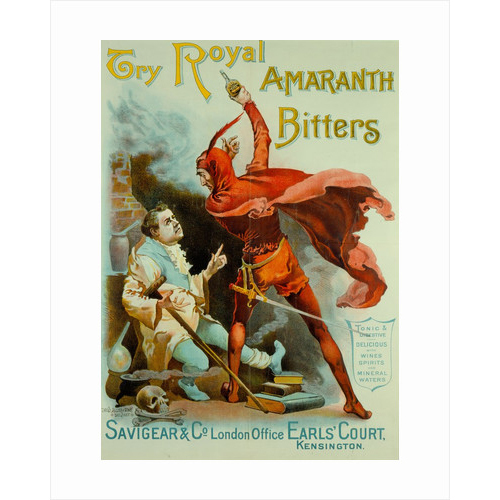 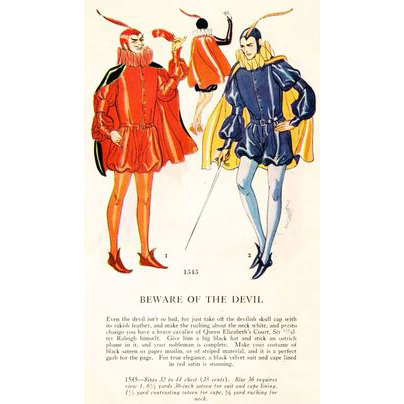 Irving’s Mephistopheles appeared widely in the press and his devilish image was used to advertise products as diverse as bitters, crackers and Player’s cigarettes. 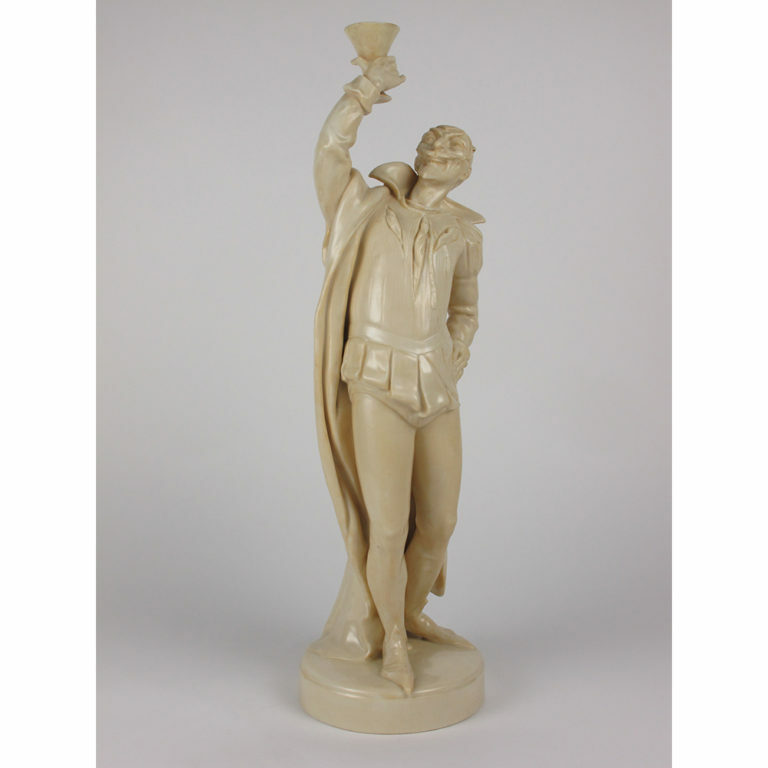 Charles Noke at Doulton’s Burslem factory was so impressed by the virtuoso performances of Irving and Terry that he modeled them many times for his new Vellum figure collection, which made its debut at the Chicago exhibition in 1893. 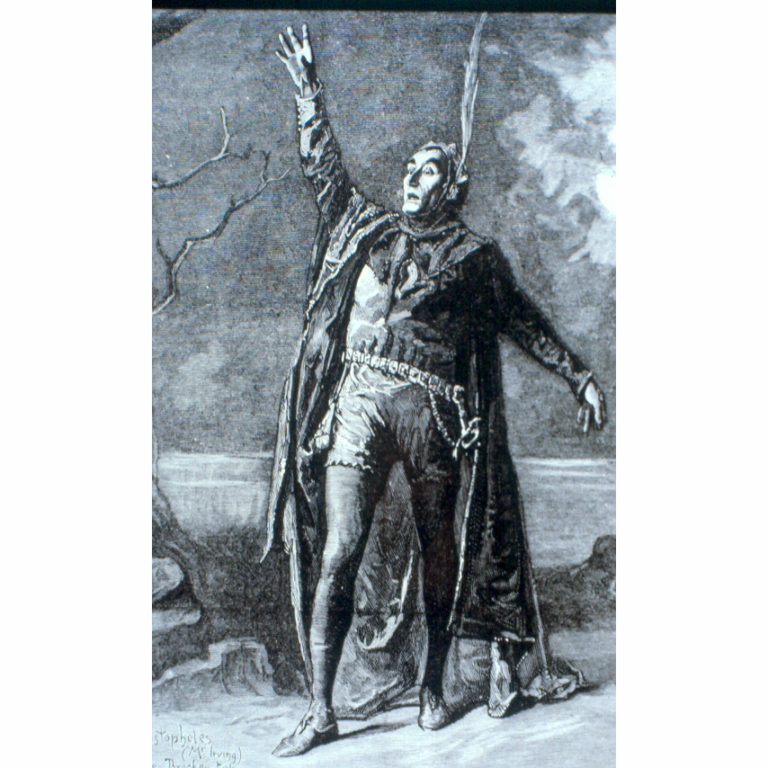 With his fiery, light bringing associations, Mephistopheles was also modeled by Noke as a match-striker for lucifers. 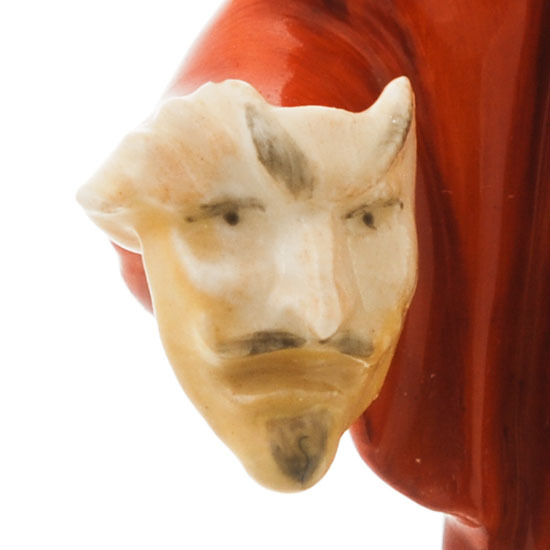 The Mephistopheles figure was also made with an electric light bracket. 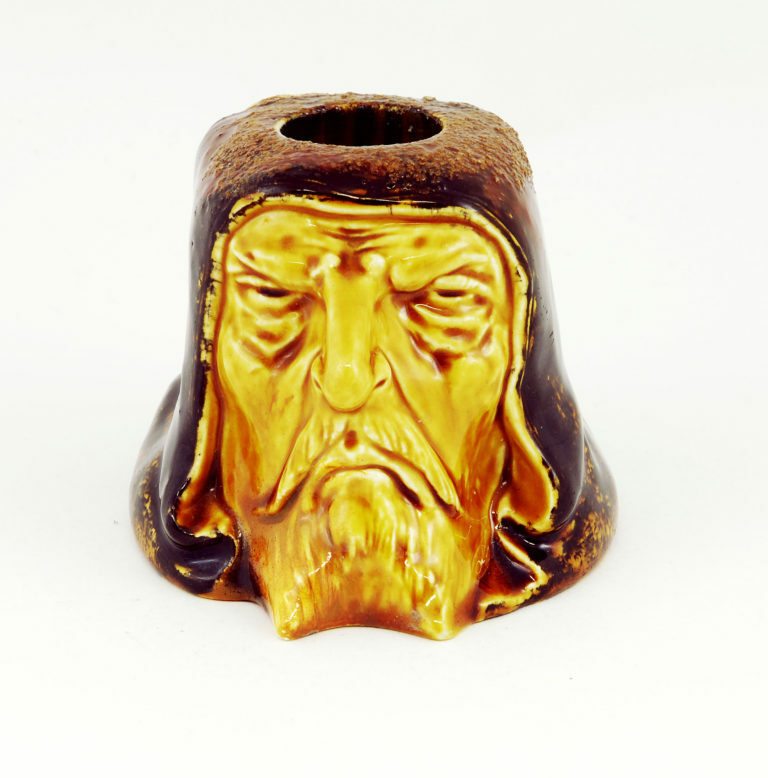 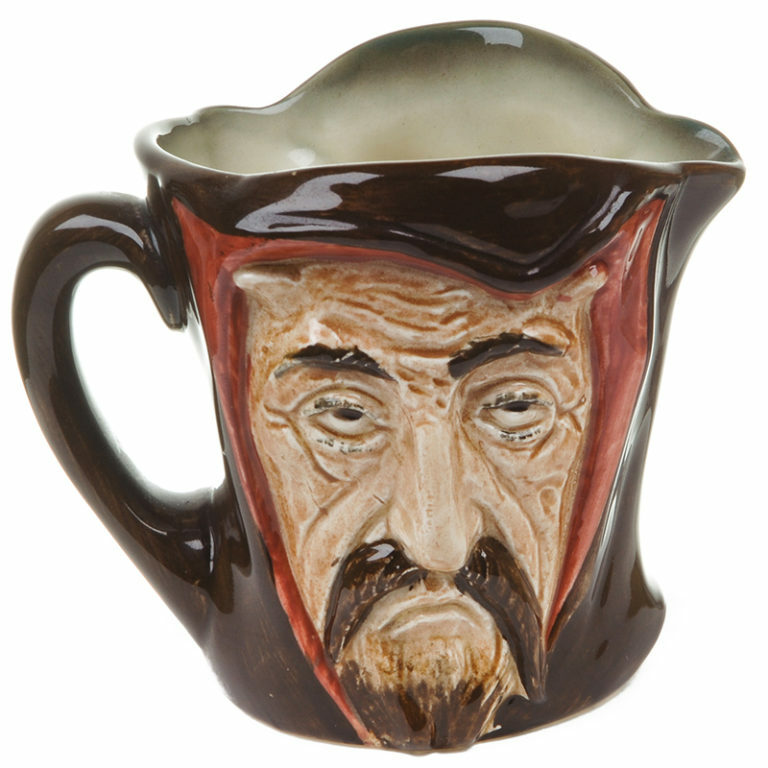 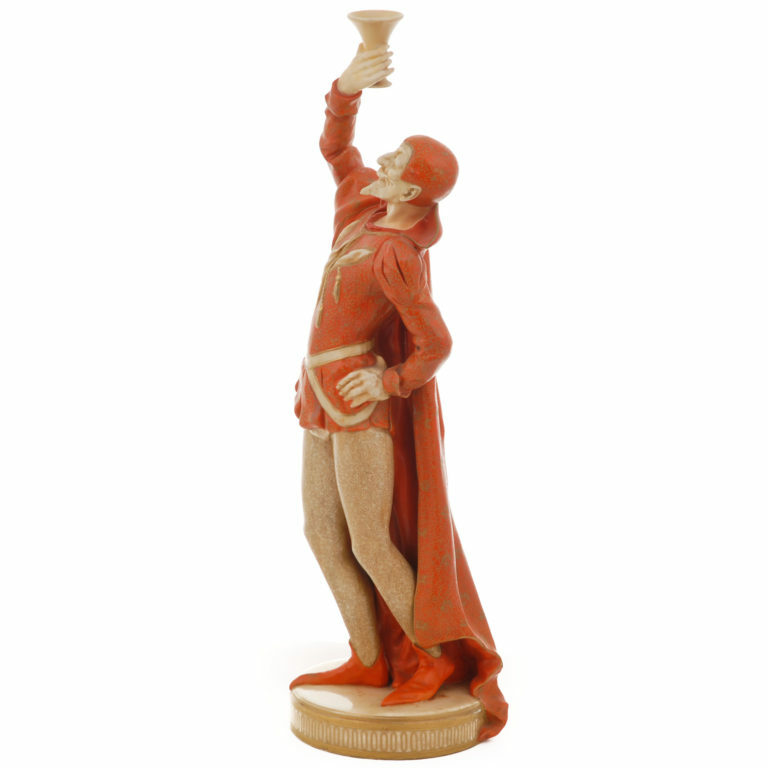 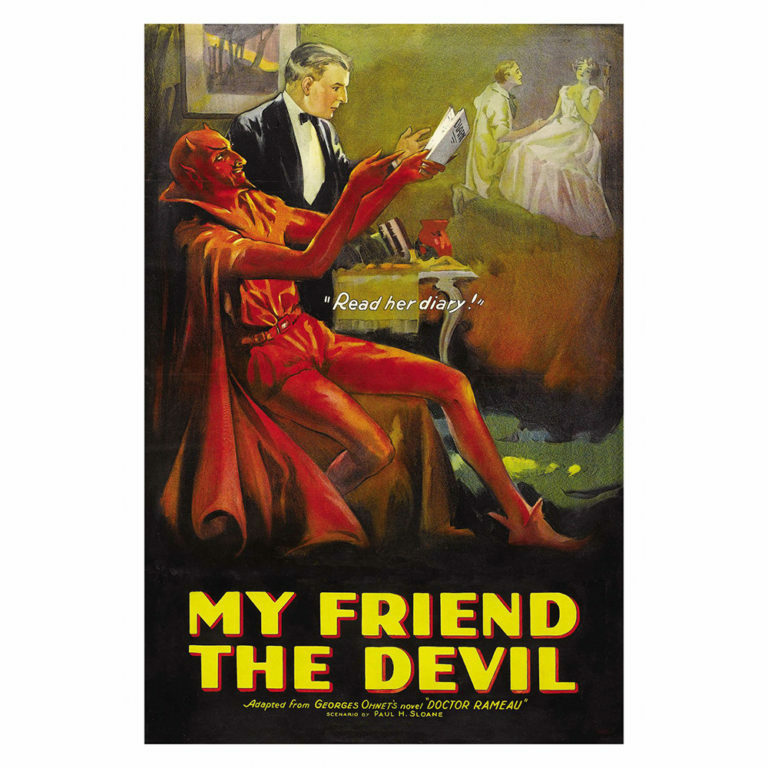 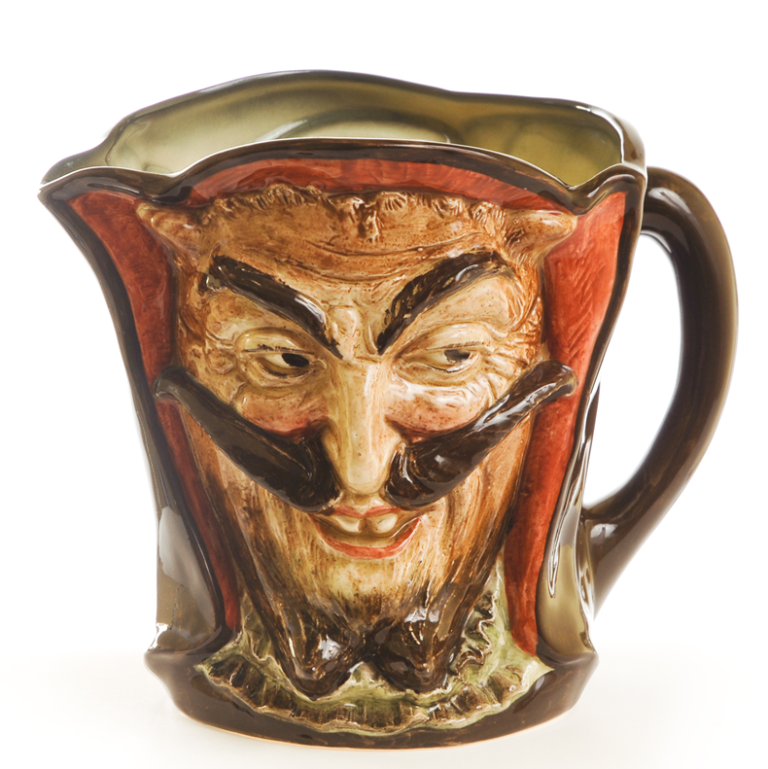 Mephistopheles and Marguerite joined Royal Doulton’s HN figure collection as a fully decorated figure, which coincided with the silent film version of Goethe’s Faust in 1926. 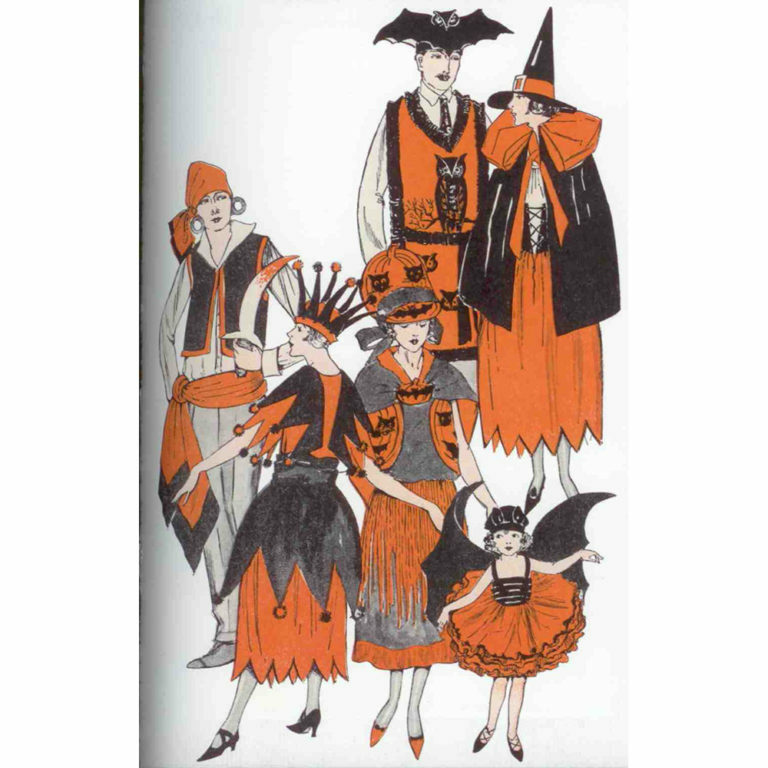 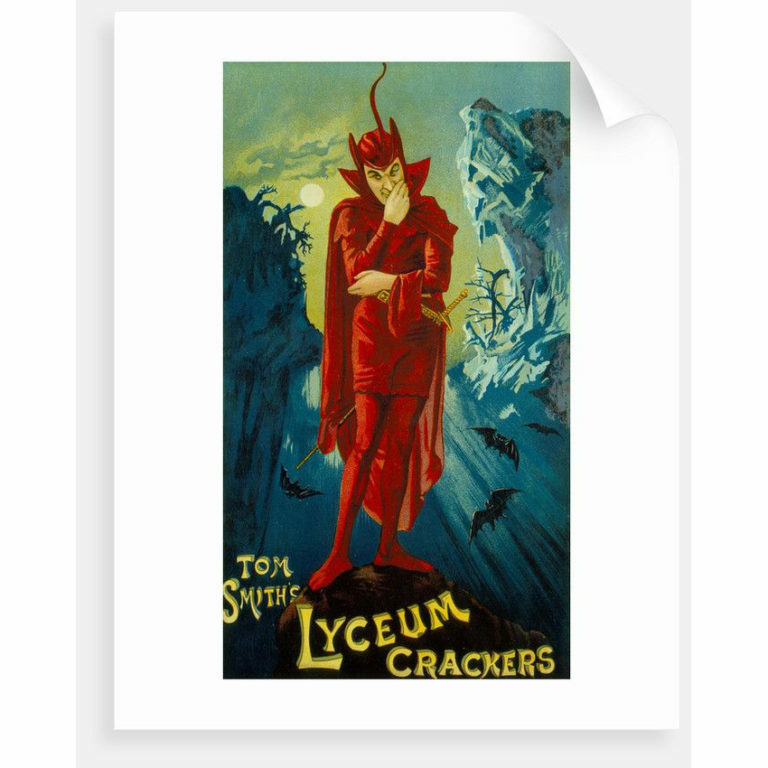 Inspired by movie melodramas, party goers in the roaring twenties loved to dress up in devilish costumes for Mardi Gras and Halloween. 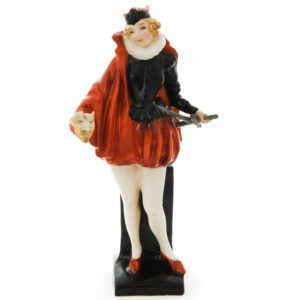 A flapper as Mephisto is one of Royal Doulton’s most striking Art Deco figurines. 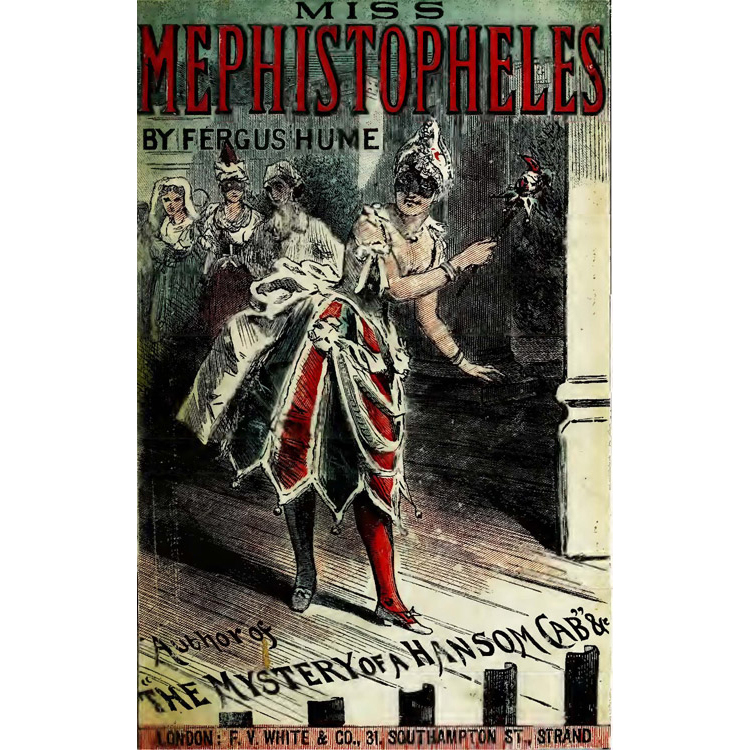 She was made in two color variations in 1925 and holds a mask of Mephistopheles.